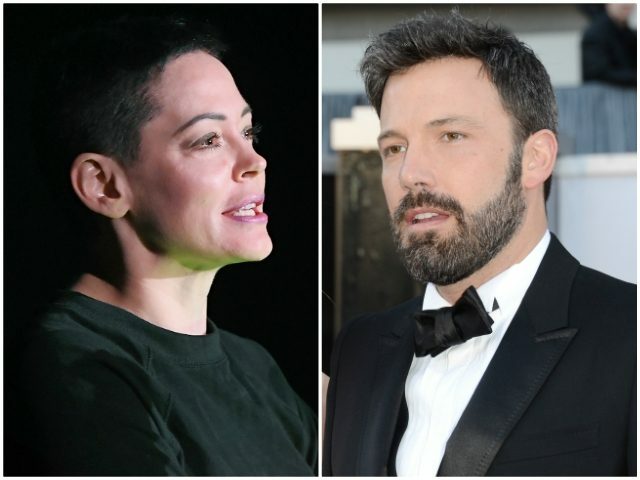 But McGowan, who according to the Times was one of eight women to reach a financial settlement with Weinstein over harassment allegations, blasted Affleck’s statement on Twitter, accusing him of lying about his knowledge of alleged abuses. Since the scandal broke, McGowan has repeatedly claimed on her Twitter account that actors and executives who have claimed they were ignorant about Weinstein’s alleged behavior are not telling the truth. McGowan joins actress Jessica Chastain, who also claimed this week that stories of Weinstein’s behavior “were everywhere” in Hollywood, and that those who denied knowledge of it in their statements were part of the problem. Affleck himself was accused of groping allegations on Tuesday night by former One Tree Hill actress Hilarie Burton. For more on the still-developing Harvey Weinstein scandal, see Breitbart News’s running livewire.